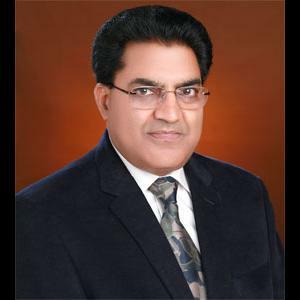 Word has come in that the embattled HNLU Raipur vice chancellor Sukh Pal Singh has resigned, according to several authoritative student sources, though the official confirmation has not yet been supplied to students. The hunger strike has just now been called off, Ranjan added. Singh has not responded to requests for comment since earlier today. Update 2 October 2018: HNLU assistant professor Dr Avinash Samal, who had filed the writ in the Chhattisgarh high court that had resulted in the termination of Singh’s tenure in August, commented: “The students of HNLU have created history. Dr Sukh Pal Singh is out. He was forced to resign and the chancellor has accepted his resignation. The students have taken the project initiated by me to its logical conclusion. A total of 23 HNLU students had begun a hungerstrike today morning at 8am after a second round of protests for six days, demanding Singh’s resignation, following a (stayed) high court judgment ruling his term illegal, as well as several other grievances against his administration. There had been major national media and political interest in the students’ protest. However, much as in the case of NUJS Kolkata, the even harder and longer road may yet lie ahead of the students: whether Singh’s successor - if one is eventually found - will be an improvement for students and the university. The administration at NUJS, for instance, has been in limbo since the appointment of interim VC Justice Amit Talukdar, without a new VC in sight. And even if a search committee for a new VC is formed, there is no guarantee at any national law school that the appointment of a new VC will necessarily be meritocratic, rather than a political appointment by a state. However, in late August, HNLU students had been optimistic about talks with the state-appointed interim VC, holding fruitful discussions (until the Supreme Court, one month later, had stayed the high court order disqualifying Singh’s term). The Student Bar Association of Hidayatullah National Law University is elated to announce that Prof. (Dr). Sukh Pal Singh has tendered his resignation to the Hon’ble Chancellor of our university, Hon’ble Chief Justice of Chhattisgarh High Court A. K. Tripathi on the 1st of October at approximately 6:30 pm. We are obliged to the Chancellor for accepting the resignation and ending the tyrannical rule of Singh. Let us look at all the NLUs where VCs were booted out after protests, and ask this question: Did the resignation of the bad VC lead to a better replacement, and the were the student protests thus successful? 1. NALSAR: Veer Singh was succeesed by Faizan Mustafa, who is much better. Thus, answer = DEFINITELY YES. 2. NLIU: SS Singh was succeeded by Vijaykumar, who is also much better. Thus, answer = DEFINITELY YES. 4. NLU Ranchi and CNLU: Still stuck with acting VCs, not sure how good they are. Thus, answer = CAN'T SAY, BUT VC IS ONLY ACTING VC. 5. NUJS: Still stuck with an acting VC, who seems to have made no improvement and even made some things worse. Thus, answer = DEFINITELY NO, BUT VC IS ONLY ACTING VC. 6. HNLU: We will have to wait and watch, but the student body is very pro-active and completely united, which helps a lot. 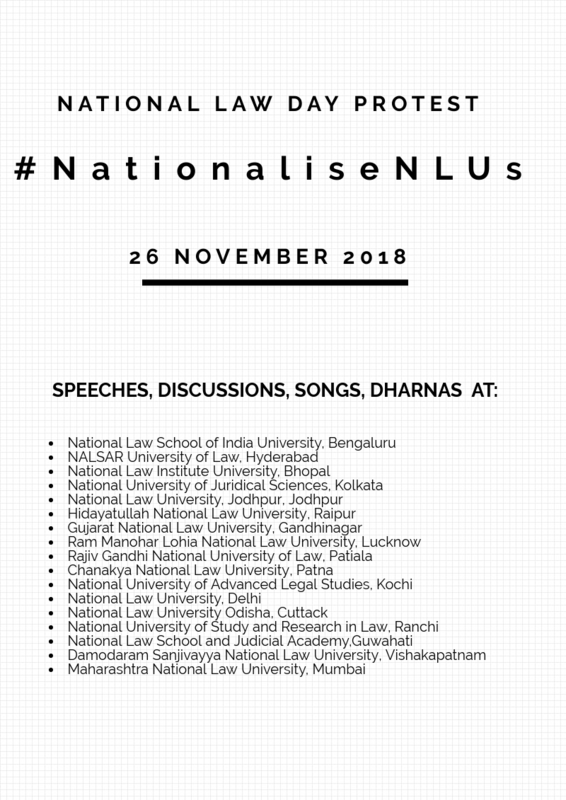 Thus, the NALSAR and NLIU experiences give reason for hope, but it ultimately depends on how pro-active the student body, state government and Chancellor are. At NUJS, NLU Ranchi and CNLU, all three are probably non-active. Very impressive actions by the students. Congratulations! I think other NLUs will get inspired by this. Super! Some left wing liberals would be proud! Why left wing? I think liberals from all over the political spectrum may be happy with this outcome. Hope the students' issues are addressed. Wonder whether any action has been taken against the sexist profs. accused of harrassing students. Why has GNLU Gujarat never seen a protest? Because the people at GNLU are used to accept whatever's thrown at them, you wouldn't wanna go against the Messiah, would you? Dharnas at all NLUs? What are we seeking? Students at all these NLU's are living in a bubble and are arrogant to say the least. 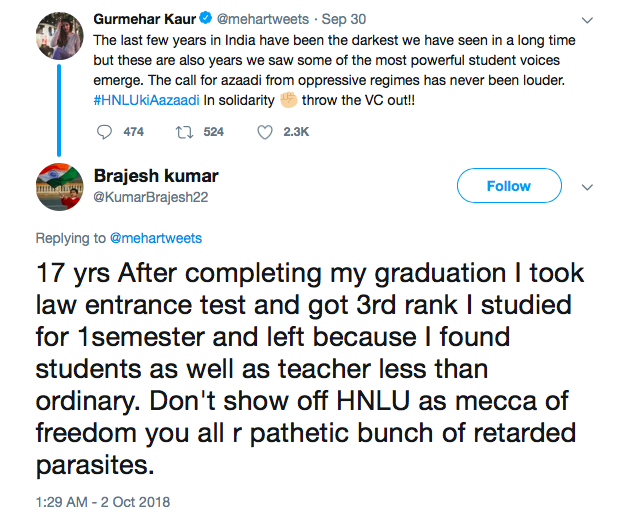 They should have rather worked hard during CLAT rather than winning after getting miserable colleges. Congratulations HNLU students on this hard fought victory. But do not let euphoria drown out the backroom machinations of the state government as also the opposition parties, compromised elements of the judiciary, and a self-serving faculty. While you call out the corrupt faculty allies of Dukhpal, do so intelligently. Remember it is the conspiracy of silence by the entire faculty (possibly barring a few brave souls) that got HNLU to boiling point. When PIB resignation was communicated to protesting Noojies on campus, certain faculty members flashed victory signs or made student friendly speeches. 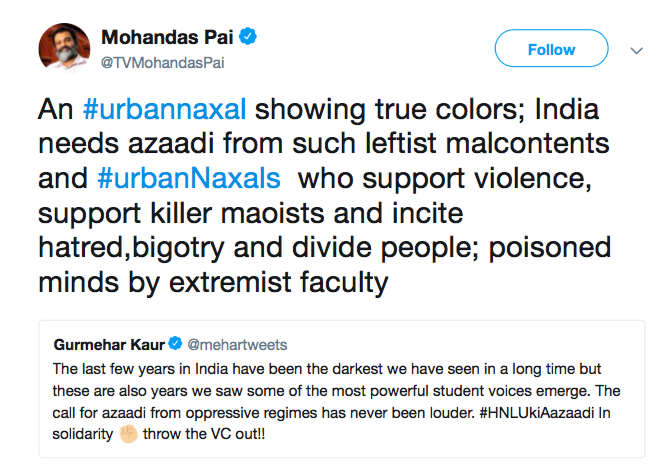 Unfortunately, Noojies have now discovered that these were turncoats who are worse than PIB faculty allies. They are now helping the interim VC snuff out the student association and create divisions in the general body. I am not suggesting that the faculty who declined to leave with Dukhpal and stayed back in the auditorium are chameleons. But you need to be careful of the many well meaning souls and bleeding hearts who will suddenly pop up now as also senior academics looking to position their lobby members for VC position. Those who stayed back were mostly teachers whose contributions were not duly evaluated under SPS. None of the four being in a position to influence student body to much extent. Whom they do need to be careful about is the one who is being called the warrior. The warrior for one had his own interests as well (always). My suggestions would be that the student body vehemently pushes for putting forward it's suggestions before the VC selection committee. Email / contact good candidates seeking their interest in taking the university forward. The one banned by SPS from conferences was contacted by your seniors a few years back. He was apparently interested. NUJS "Being in Limbo" is an understatement LOL. Since Justice Taluqdar took over theres been NO credit courses, NO seminars, NO conferences, NO visiting scholars and NO lectures. The best faculty will all be leaving soon and the campus will be stuck with AKP, TRC, LDG and AG and their politics. At least 3 more good faculty members will be leaving by the end of this academic year and the minuscule number of good ones left are either disillusioned thoroughly or cannot care any less. The students seem to be happy with the ones who are ruling here now though. So long as the inflated grades keep coming and multiple exams are held, who cares about quality teaching any more? The PA to the VC is now apparently calling all shots including who gets to meet the VC with complaints or applications. That person has caused her own fair share of harm to this place. Gets no work done and plays politics with a few of the Justice League all day in her chamber and considers herself a power-broker. The lower the competence, bigger the ego. Whatever happens next just ensure that the PA does not capture the interim VC (or the regular one when s/he comes along). Or whoever is the PA equivalent at HNLU. Have a word with folks at NUJS and you will get the hint. Don't go by equivalence in position since your PA may not actually be [...]. 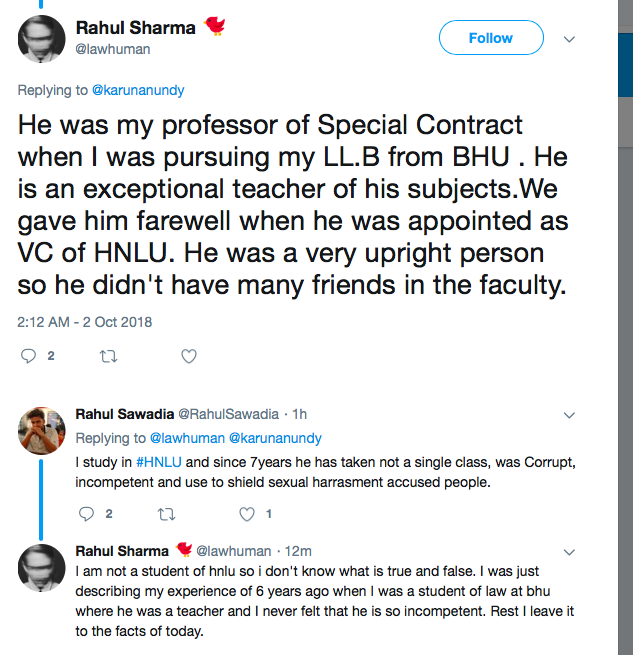 While I am happy that the HNLU VC has left, there are some fundamental problems that will always hinder HNLU. HNLU is located in one of India's most backward states, and here too it is located very far from the state capital. It is difficult to get senior lawyers and potential recruiters to visit easily. Also, it is hard to get good faculty to teach at HNLU, as most people would not like to move here with their families. NLUs were set up in all the states on the assumption that the economy will boom, foreign law firms will enter, an Indian Judicial Service will be established, and there will be lots of jobs for everyone. This has not happened, so only a few NLUs are in a position to benefit. If you look at the US, the job prospects and faculty difference between Harvard/Yale/Stanford versus Northwestern/Georgetown/G eorge Washington will not be very drastic, but the difference between tier 1 NLUs and HNLU are quite drastic. Which NLU students are the most spineless of all? Answer: GNLU, for not protesting against BimPa. The list would be incomplete without ThoMa; the problem being BimPa leaving behind loose ends. We need to tie them up before they unravel upon us. Mr. Director the movie's been a flop show.